Our Zip-Ties post prompted quite a response, both in the Comments section and via email. One in particular really deserves to be given its due. 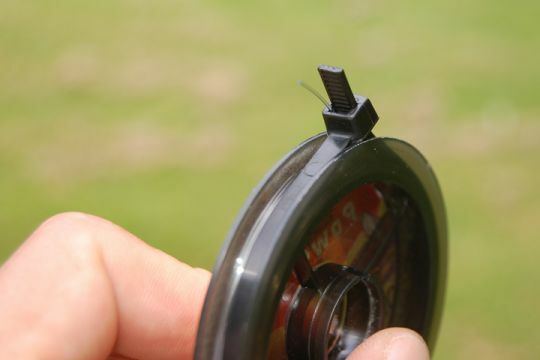 Tim Flagler of Tightline Productions sent in this method of securing tippet onto spools that have lost their tenders (or, as in the case of old fluoro, had their tenders’ elastic wear out before the tippet itself went bad). I wanted to add a zip tie tip and thought this picture would be worth 1000 words. Just don’t crank the zip tie down too hard or the leader/tippet won’t come off. Tighten as the spool gets low. I’ve been doing this for a few years now and it works great, actually better than most tenders that come with the spools. Thanks Tim! Don’t miss the Mayfly Tippet Spool post for a great way to organize your tippet spools once you have them secured. If you have additional tips or ideas for the Gear Blog, don’t hesitate to share them via email or in the Comments section!